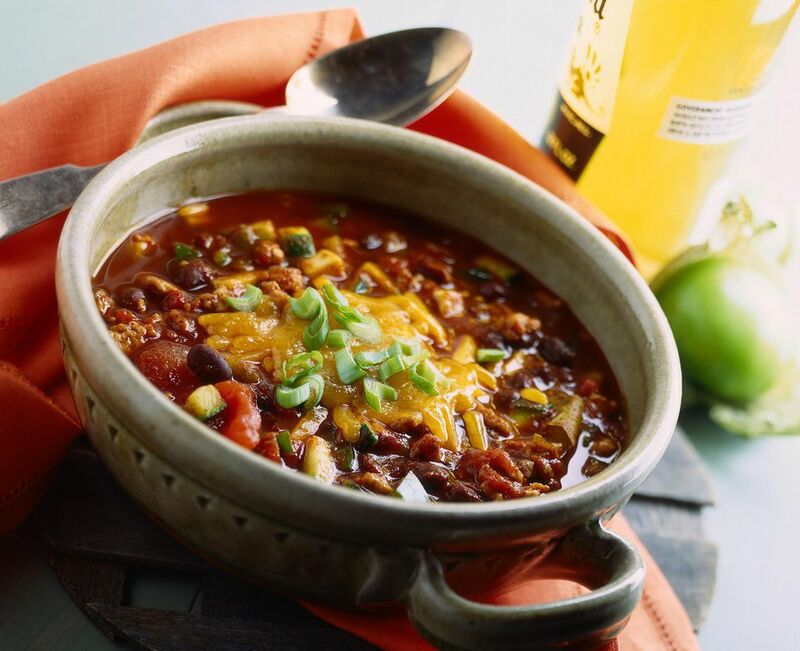 This simple chili freezes very well, so make a batch or two and keep them in your freezer for last minute dinners and entertaining. Make a batch or three at the beginning of winter to help get you through the long, cold season. Top with shredded cheese and sliced scallions for an added punch of flavor. Mix all ingredients except cornstarch and water in saucepan. Bring to a boil, then reduce heat, cover and simmer for 50-60 minutes. If you want a thicker chili, mix cornstarch and water in small bowl until smooth and add to chili, stirring well. Uncover and cook for about 10 minutes, until slightly thickened. To freeze, do not add cornstarch and water. Cool quickly in refrigerator, then place in plastic freezer containers and freeze until solid. To reheat, place chili in saucepan with 1/4 cup water and cook over medium heat, stirring occasionally, until reheated. At this point you can add the cornstarch and water mixture if you'd like a thicker chili.